Elizabeth Mattei was born in Atlamonte Springs, Fl., in October 1999. She is a senior at Lake Howell High School in Winter Park, Florida. She plans on moving into the Early Childhood Education career field when she graduates high school. taking care of our military. 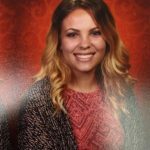 For the past three years, Elizabeth has been involved in Early Childhood class at Lake Howell High School and working at Little Hop preschool. Elizabeth started Kids In Support of Soldiers, with her grandfather, in April 2009. With the help of her brother R.J. and two sisters, Taylor and Makaylah she continues to support our military through monthly care packages to those serving overseas.